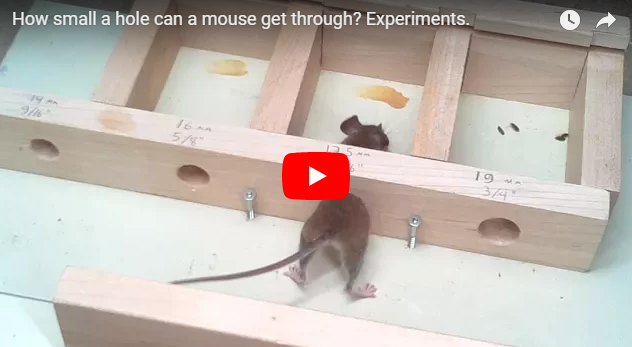 MFS VIRAL VIDS-2: How small a hole can a mouse get through? Experiments. Experimenting with how small a home a mouse is able to fit through. But it didn't go as planned. I had a lazy mouse, and a hard-working invading shrew. In my previous mouse video, I said the shrew never made it through the 16.5 mm hole. But two days after that video It actually did make it in there!